Requirement: We had a metadata column called "Service" in many document libraries & lists. 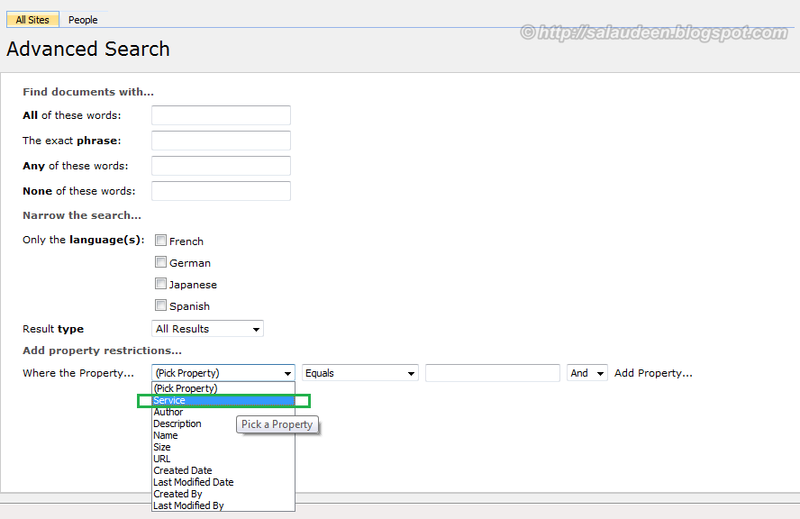 End-users wanted to perform Searches based on the metadata column. 2. 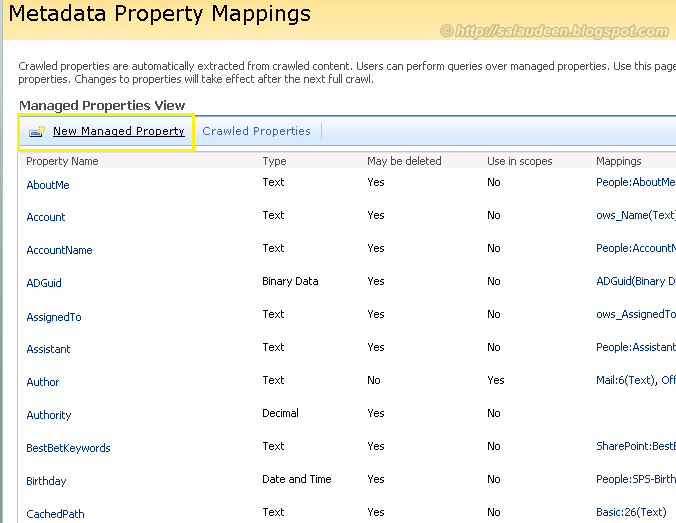 Click on "New Managed Property" under Metadata Property Mappings. 3. 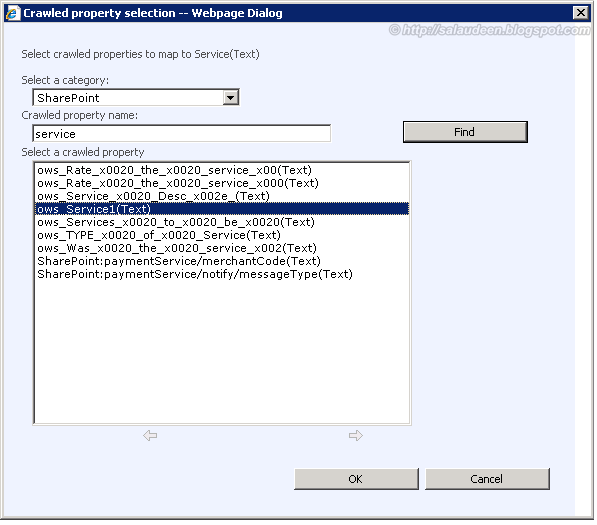 Name the Property, say "service", Enter the optional description, Choose the Data type of the property, select "Include Values from a single Crawled Property based on the order" and then click on "Add Mapping" button. 4. 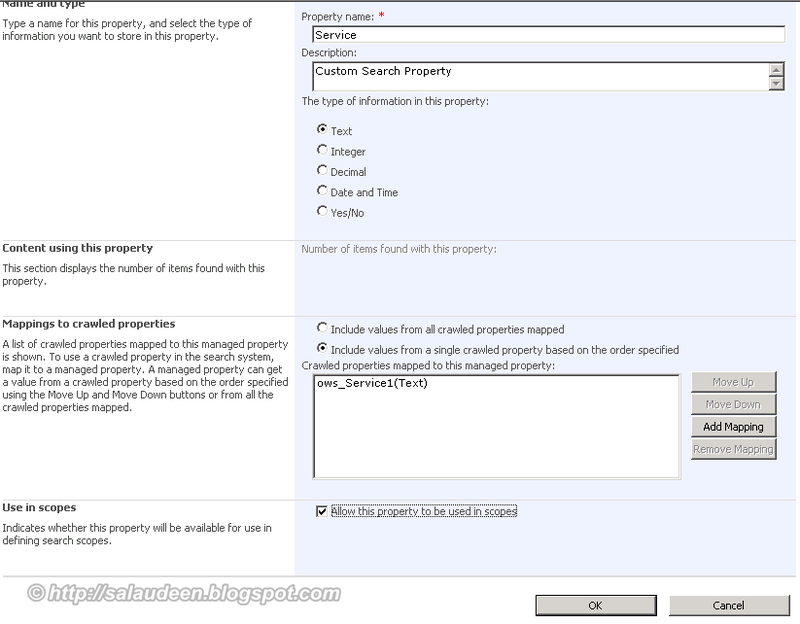 In the Crawled Property Selection window, Select the Category as "SharePoint" , enter the column name, Pick it from the list and click on "Ok"
5. Click on "OK" button to finalize the Metadata mapping. 2. 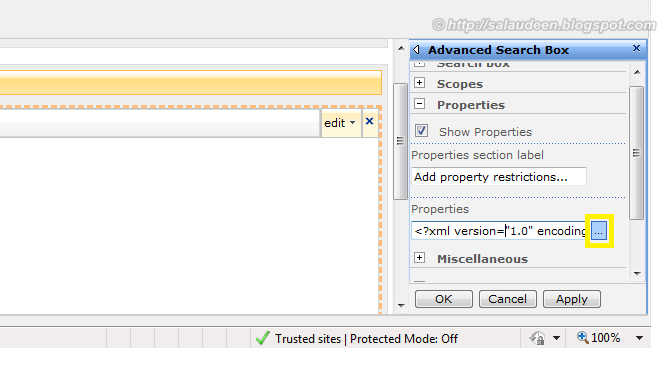 Click on Modify Shared web part of "Advanced Search Box" Web Part. 3. 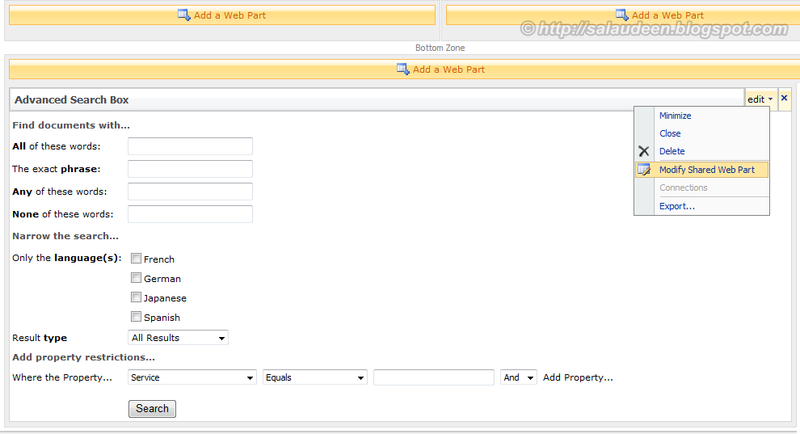 Expand the Properties Node and then click on Square button as in this picture. 5. 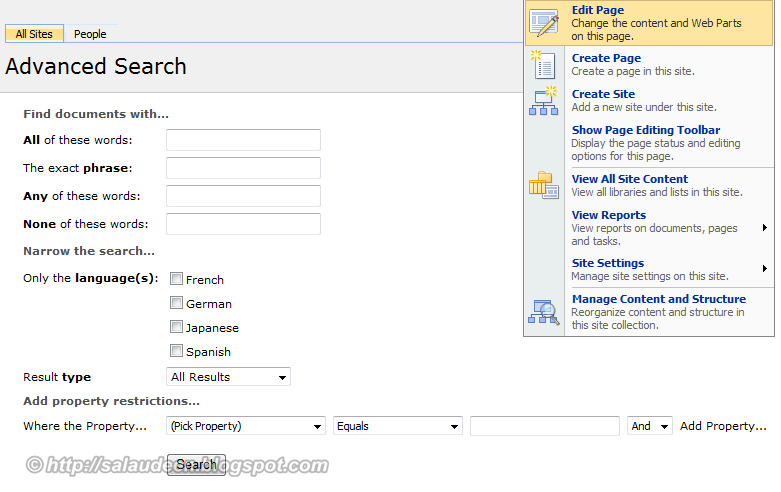 See the new column added to properties drop down in Advanced Search page! 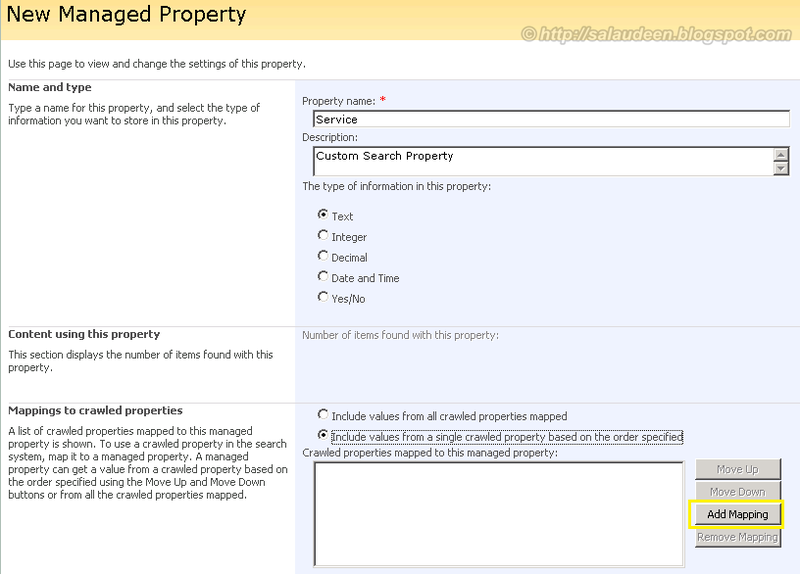 so we successfully brought custom properties to SharePoint advanced search!! 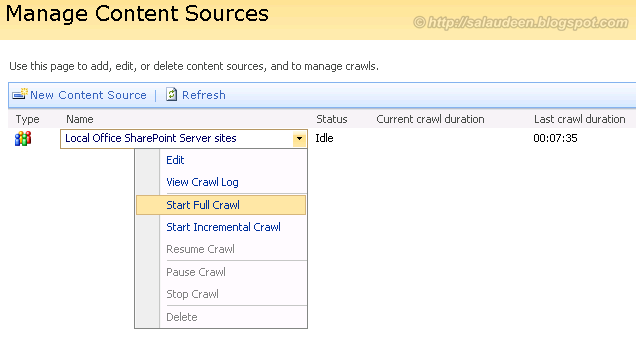 After completing above steps trigger the Full Crawl in Search Administration. 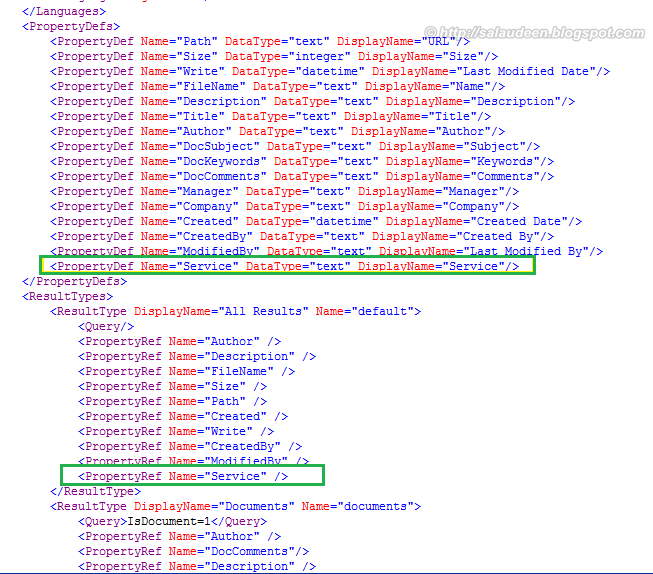 "Property doesn't exist or is used in a manner inconsistent with schema settings." Although this article written for MOSS 2007, There is nothing changed in later versions of SharePoint. 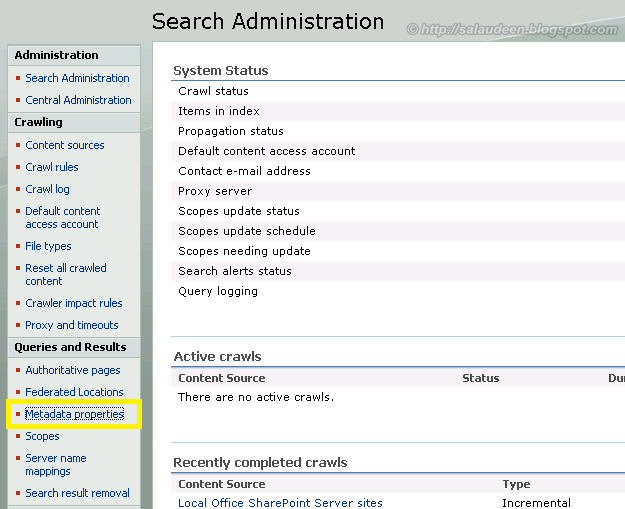 The only thing is: Search is moved to Service application from SSP.